"Dacapo" is an planar radiator designed by Bernd Timmermanns equipped with a reasonably priced Ciare CH 250 full range driver boasting a high efficiency of 98 dB (2.83V, 1 metre). To achieve this, Bernd Timmermanns investigated how wide the baffle had to be to ensure a frequency response that is as flat as possible. A 45 cm baffle resulted in a reasonably flat frequency response between 300 and 1000 Hz. ... "Despite the small distance between the two speakers, the two Ciare full range drivers were able to create an amazingly wide and deep sound stage. It is true that vocals and instruments were bigger than usual, but they were still realistic enough. Beethoven's "Ich liebe dich" performed by Hermann Prey (to be found on the Manger Test CD) was just terrific. We rarely had the opportunity to experience Hermann Prey, standing that tall in front of a concert grand. Even the piano was easy to locate and in its full size. Great!" 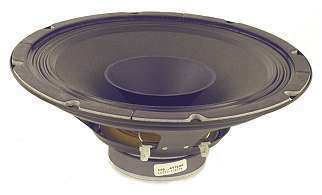 ... "Tonality, however, was not as good as with well balanced multiple driver speakers. The minor shortcomings that are clearly noticeable in AB comparison are not bothering at all anymore when our ears have adjusted to these speakers. What's left is a phenomenally detailed performance with an almost infinitely fine resolution, that also has a drawback: even the smallest blunder by the recording engineer is audible. Really good recordings, however, like e.g. the Manger Test CD the listener will get sheer pleasure out of the Dacapo." Upon request we supply a 220 x 155 mm universal PCB for mounting the crossover components. We recommend to use Dacapo together with a subwoofer.